WESTWOOD, Mass. – Sometimes there’s one specific stat or play that a coach can point to that changes the game. 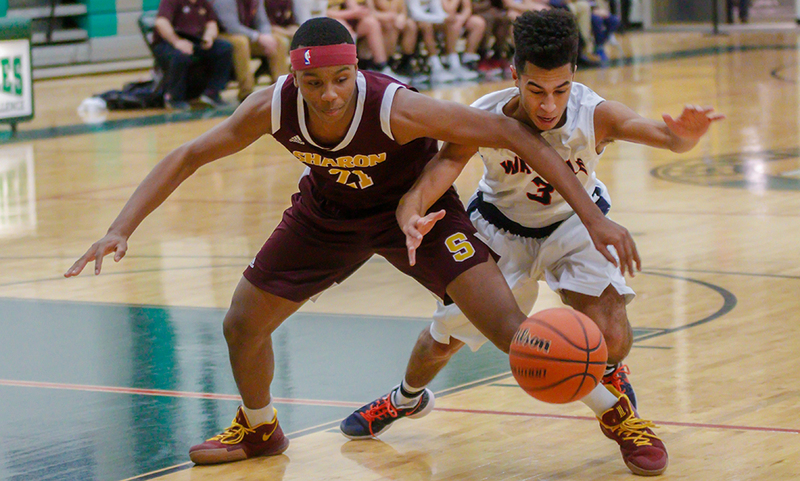 Unfortunately for Sharon, it was a handful of stats and combination of plays that resulted in a 59-54 setback to Walpole in the first round of the Westwood Holiday Tournament. 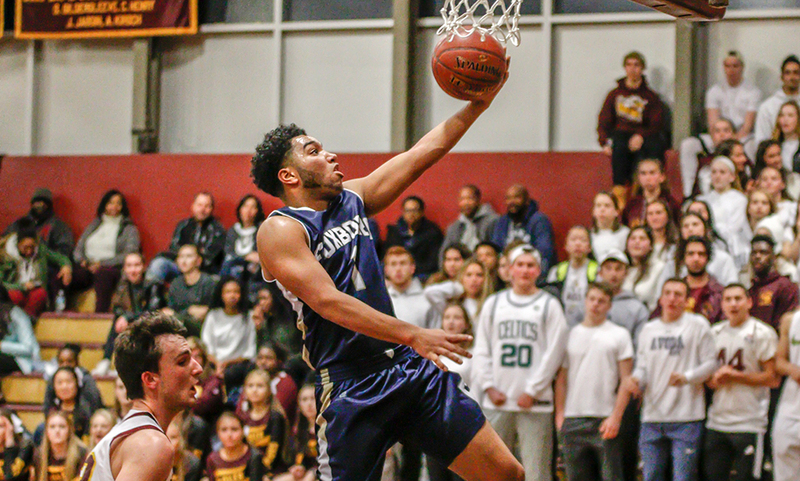 The Eagles had a strong defensive performance, helping force 23 Rebel turnovers, but cooled down considerably on the offensive end after a red-hot start. 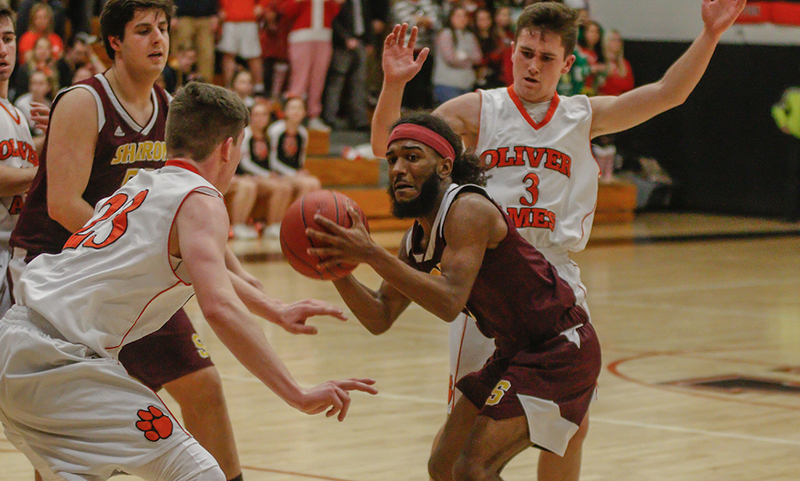 Sharon shot just 15% from three-point range (3-for-20) and hit just 54% of its free throw attempts (13-for-24) while losing the rebounding battle to Walpole, 39-26. 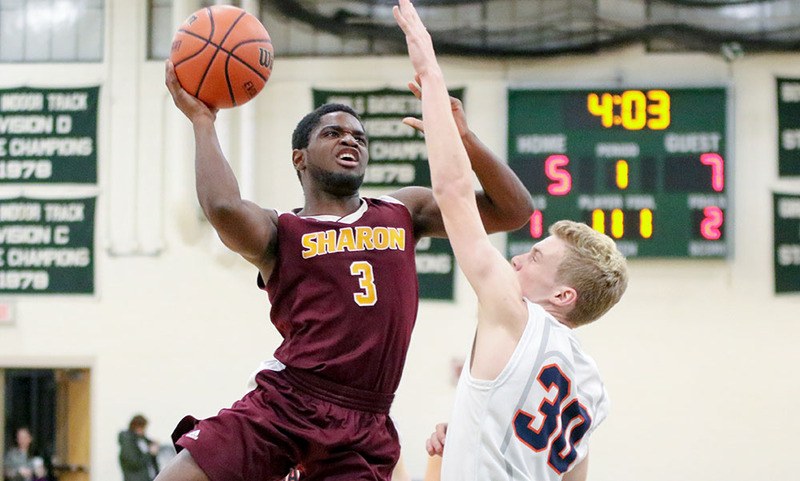 Despite the final numbers, Sharon’s offense was nearly unstoppable for nearly the opening five minutes. After giving up the opening bucket of the game, the Eagles went on a 16-0 run over a four-minute span to seize a 16-2 lead. Over that stretch, the Eagles made seven of their eight field goal attempts. 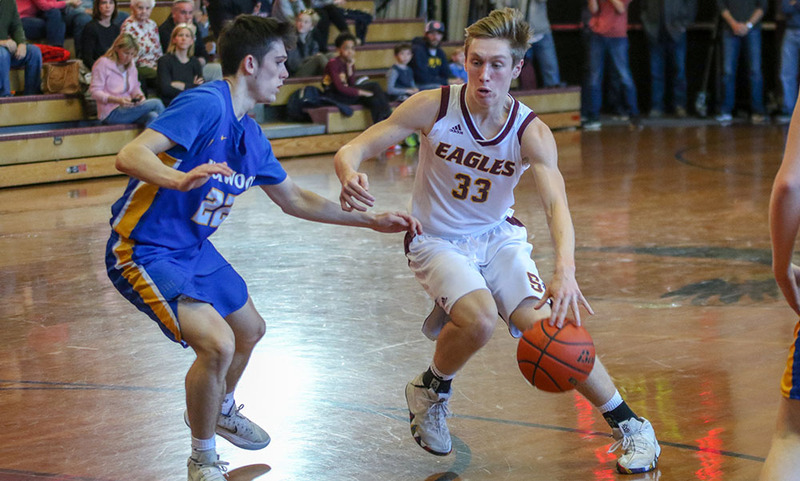 Using a fast tempo, the Eagles quickly turned stops on defense into transition offense. Ben Kaplan (nine points) split right through the lane to start the run and Alex Kaufmann (16 points) sandwiched two layups around an assist to Kaplan for three. Out of a timeout, Kaufmann converted a traditional three-point play and senior Malik Lorquet (13 points, seven rebounds) scored back-to-back baskets underneath to stretch the lead to 14 points. But the Rebels’ offense came alive as well. Walpole closed the quarter on a 7-2 run and then continued that run in the second quarter. 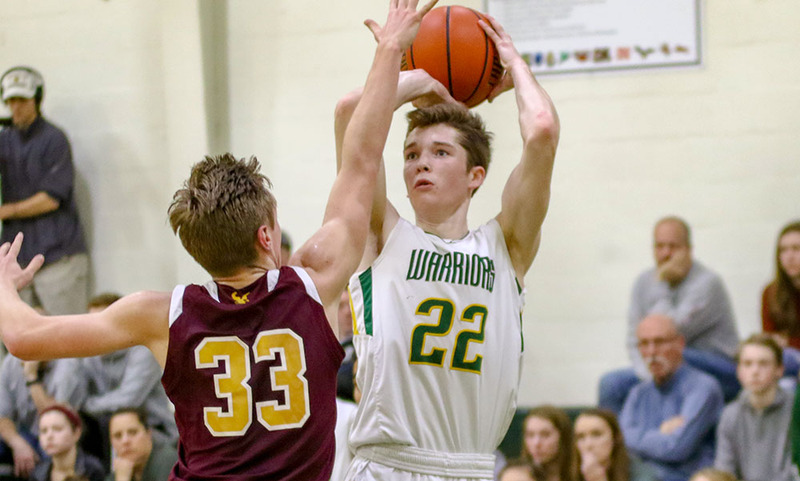 In a stretch that saw three missed free throws and a pair of turnovers, Walpole knotted the game at 19. 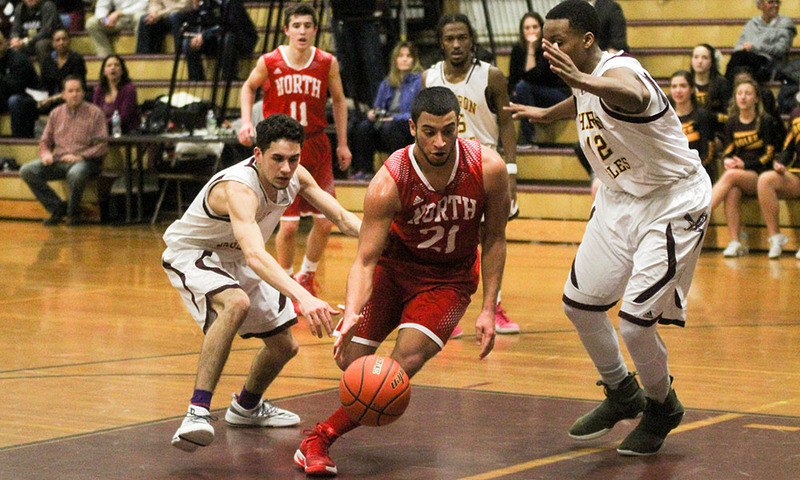 Holding a 24-23 lead, Sharon got back into the driver’s seat and finished the half with a 9-1 run; a traditional three-point play from Jayvon Monteiro, a layup from Kaplan, a putback from Lorquet and a bucket from Kaufmann, leading 33-24 at the half. Walpole had its best quarter of the game in the third, scoring 18 points while holding the Eagles to just eight points. Sophomore Aidan Kane drained a three off a feed from Lester High to give Sharon a 40-34 lead with 3:13 to go in the third quarter. But from there, Walpole surged ahead with an 8-1 run to close the quarter. The Eagles were without three starters due to foul trouble for the end of the third and beginning of the fourth. The Rebels built its largest lead of the game at that point when Brett Lavanchy (13 points, 10 rebounds) converted off a Sharon turnover to make it 51-46. But Sharon didn’t go away quietly. 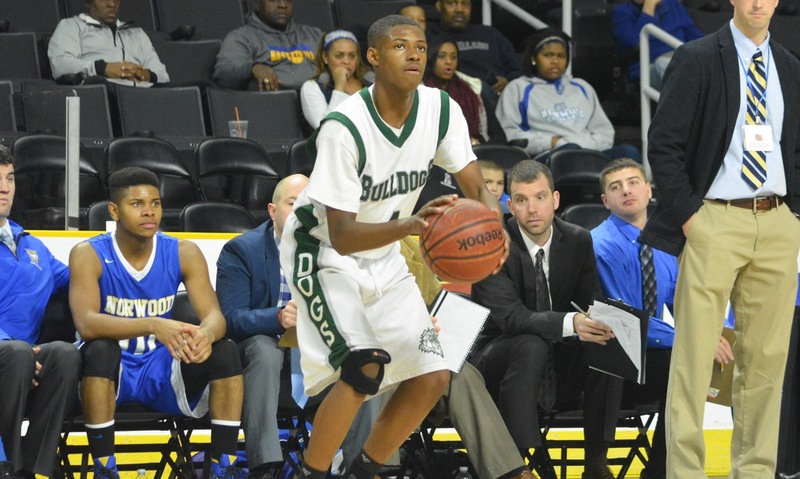 As Monteiro drained a pair of free throws to make it a three-point game. After a stop, Lorquet converted down low to get within one, 51-50, with 3:24 to play. After a minute without scoring, Walpole scored down low for a 53-50 lead and the Rebels’ defense got a stop, with Lorquet picking up his fifth foul on an over the back call. Walpole pushed it back to five, 55-50, with 1:03 to play. The teams traded two throws apiece to keep the lead at five. 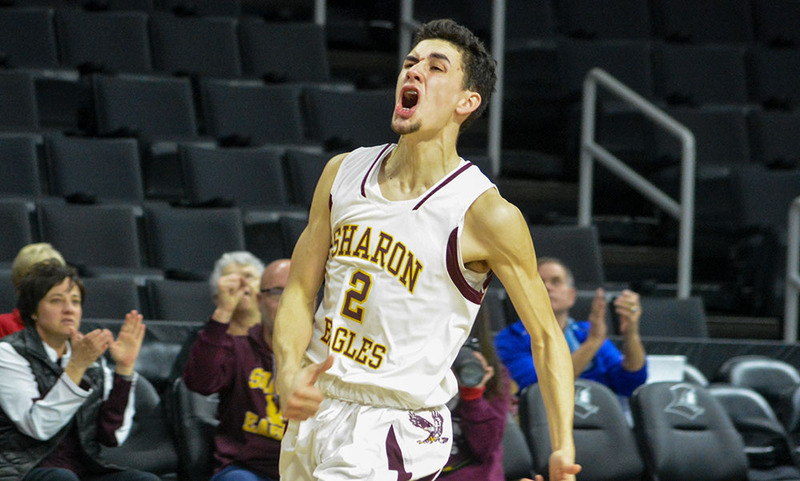 Sharon’s Max Tarlin hauled in a late offensive board to give the Eagles a shot at a three, but the chance rimmed in and out. Tarlin added two free throws to bring Sharon within three with 3.4 seconds to go, but Walpole was able to inbound the ball and make its free throws. Sharon boys basketball (0-3 Hockomock, 0-4 overall) is back in action on Saturday when it will play host Westwood in the consolation round of the tournament at 5:00.